Tahko offers ideal setting for cross-country skiing. There are more than 60 kilometres of cross-country skiing tracks, of which 16 kilometres lighted. On the well-maintained track network, you can ski in wonderful winter landscape, both on varying terrain of forests and fields and even ice cover of lake Syväri. The cross-country skiing tracks are suitable for skiers of all levels: there are challenging routes with hills, and more even routes for beginners. The ski cafes, lean to’s, huts and service points offer a chance for a break and filling up energy. The map of the skiing tracks helps you in planning your route. The ski rental shop SkiMac provides you with all the equipment and servicing you need. There are 23 slopes at Tahko, the biggest ones 1200 meters long and as much as 200 meters high. At Tahko you can find speedy slopes for active skiers, and the kids and beginners have their own slope too. Snowboarders will enjoy the proper pipe and the boxes and rails of the street. There are 8 T-bar lifts, two four-person chair lifts, two button lifts taking skiers to the top of Tahko. In addition, there is a button lift from the parking area to the slopes and a safe carpet lift for the youngest skiers. There are six slope restaurants ready to fill your stomach and quench your thirst. Additional slope services include three equipment rental shops, an equipment service and a ski school. At Tahko we use the most common lift ticket system in Finland – KeyCard. The same KeyCard can be used in many slopes around the world, as well as in Finland for example in the slopes of Huippupaikat in Kasurila and Vuokatti. In addition, the ticket system reads the microchip of Swatch Access –watch. KeyCard costs 5 Euros and it can be used for many years. 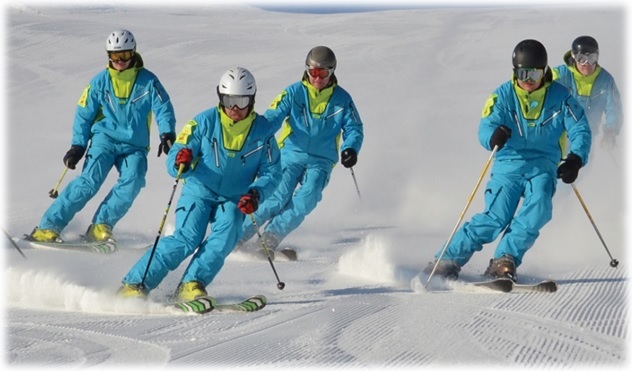 Tahko Ski School provides instruction in downhill skiing, snowboarding, telemark and cross-country skiing. Sales office of the ski school is located at the SkiMac Tirol ski rental shop. The lessons start at the hour at the Ski School meeting point, next to children’s slope. Please book in advance. There are two equipment rental shops in the area, SkiMac Tirol, which is located next to the Tirol slope restaurant, and the SkiMac Promenade across Break Sokos Hotel Tahko. In addition to renting equipment, SkiMac Tirol also provides the service for skis and boards. There is also equipment for sale.